The word ‘providence’ seems to have dropped out of our everyday Christian vocabulary. But questions about God’s activity in our world - his ‘provide-ence’ for us and his creation - are as alive as ever before. Providence is the point at which theologians and the broader Christian community find their most intense conversations. Questions about God’s activity in the world today, his guidance of believers, human freedom versus divine will, the place of prayer in the workings of his will, his responsibility for evil - all of these are related to his providence. How we think about these issues is deeply related to our understanding of God and of how we should serve and worship him. 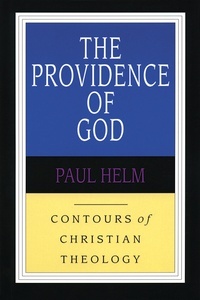 In the face of recent arguments that God’s knowledge of the future is limited and that he therefore takes risks, Paul Helm undergirds his discussion of divine providence with an understanding of God as risk-free. The Providence of God is a clear, vigorous and thought-provoking introduction to a critical area of theology.